Home »BUSINESS OPPORTUNITYAnd is it appropriate to use Intra during chemo? And is it appropriate to use Intra during chemo? 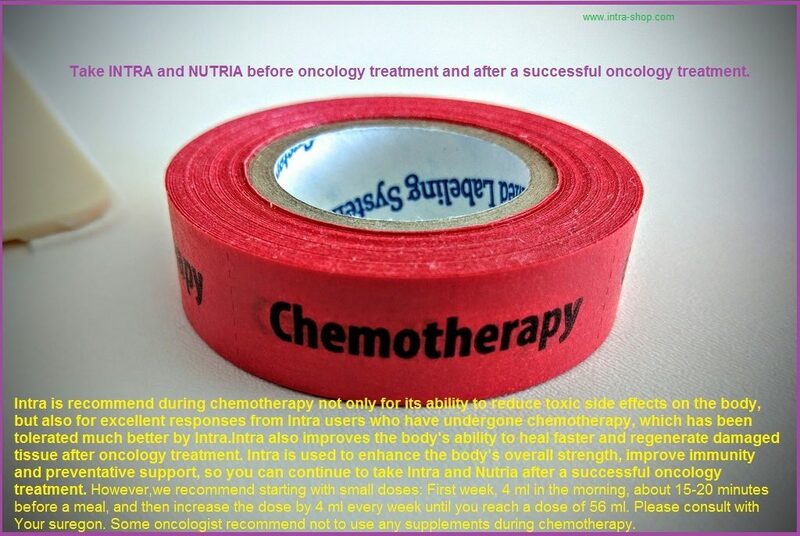 Take INTRA and NUTRIA before oncology treatment and after a successful oncology treatment. 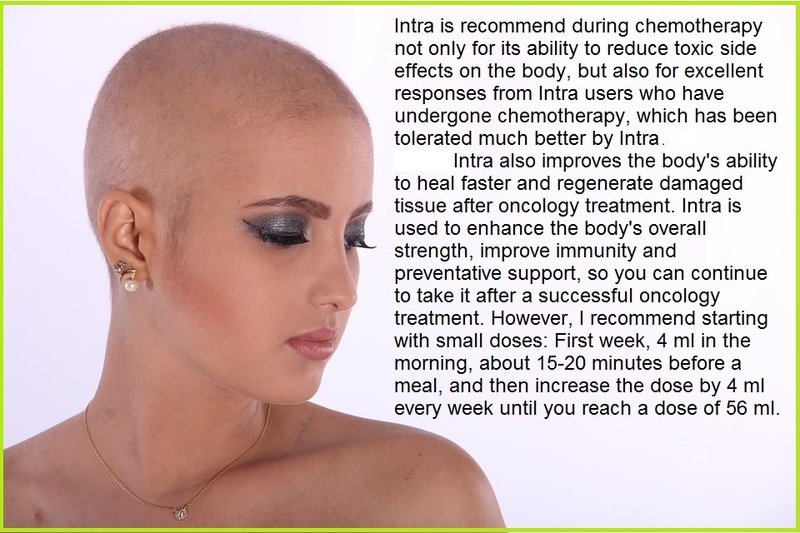 Intra is recommend during chemotherapy not only for its ability to reduce toxic side effects on the body, but also for excellent responses from Intra users who have undergone chemotherapy, which has been tolerated much better by Intra. Intra also improves the body’s ability to heal faster and regenerate damaged tissue after oncology treatment. Intra is used to enhance the body’s overall strength, improve immunity and preventative support, so you can continue to take INTRA and NUTRIA after a successful oncology treatment. 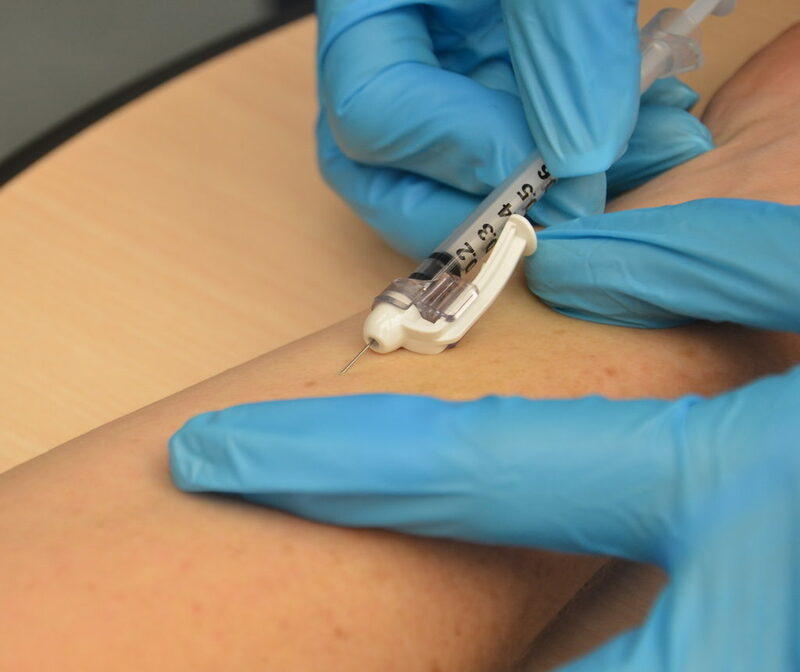 We recommend starting with small doses: First week, 4 ml in the morning, about 15-20 minutes before a meal, and then increase the dose by 4 ml every week until you reach a dose of 56 ml. Please consult with Your doctor and oncologist. Some oncologist recommend not to use any supplements during chemotherapy, because many supplements may interfere with your cancer treatment, so never take anything without discussing it with your cancer doctor and treatment team. However, take INTRA and NUTRIA before oncology treatment and after a successful oncology treatment or radiotherapy. NO APPROVE THERAPEUTIC CLAIMS PRODUCT RESULT. Read more: Effect of vitamins C and E on antioxidant status of breast-cancer patients undergoing chemotherapy.